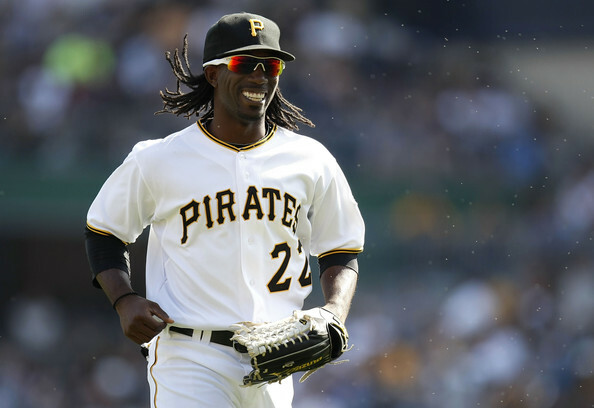 Will Andrew and the Pirates be smiling in 2012? 2013? The Pirates’ success this season, and to a lesser extent, the Indians’ was the inspiration for this post. Both of these teams have improved greatly this year, in comparison to the last three years. However, are their improvements a prediction of further success or just a fluke? The table below shows the top ten instances in which the breakout season foreshadowed sustained success (Breakouts), and the second table shows the top ten instances in which the breakout season was just a fluke (Fakeouts). Only teams that have improved by 100 points or more in Win % were included. Teams that meet that criterion are then measured by comparing their Win % over the three years after the breakout season to the three years before their breakout season. Although the tables may not be comprehensive, they appear to be decent indicators of Breakout and Fakeout teams. The columns on the table are Team, Year, Win %, and Improvement. The Breakout teams seem to have a common characteristic: they tend to be young talented teams in general, and their level of talent is evident at the time, not just in hindsight. Atlanta ’91: Young, great pitching, period. Detroit ’04: They had young pitching, but their improvement was equally a function of the absolute futility of the previous 3 years. Toronto ’82: I’m not old enough to speak intelligently about them, but they were a very young team and apparently talented. Average age was 25! ’84 Mets: This team is the epitome of a Breakout team. Their starting pitching included Doc, Sid Fernandez, and Ron Darling; and was 23.5 years old on average. They were probably the best team in baseball from 1984-1986. Cleveland ’94: Their pitching staff averaged 32 years old, but that didn’t matter; they just had to allow fewer than 10 runs to give the Indians a chance to win! A young Manny Ramirez and Jim Thome weren’t even the best players on the team. Albert Belle, Kenny Lofton, Carlos Baerga, and Steady Eddie Murray were also a part of that devastating lineup. Tampa Bay ’08 and Minnesota ’01 spent years building their farm systems and their talent finally matured. Table Notables: These teams tended to be older and a great deal of their success was attributed to players overachieving and having career years. Arizona ’07: They won 90 games, but they allowed more runs than they scored. St. Louis ’85: The Cards didn’t necessarily fakeout; it seems that 1985 was just the peak year of a pretty good run, not preview of years of .600 baseball. Seattle ’01: Winning 116 games was definitely a fakeout, but like the ’85 Cards, it was the peak year of a pretty good run. San Francisco ’93: This may be the typical fakeout team. Although their hitting continued to be as productive as the ’93 level, their pitching staff was characterized by guys like John Burkett and Bill Swift, who where mediocre pitchers having career years. Based on the tables and the characteristics present in most Breakout and Fakeout teams, I think the Pirates are a Fakeout. Their hitting isn’t great, and aside from McCutchen and Tabata, their young, talented hitters are a probably a few years away from contributing at the big league level. Additionally, their pitching staff seems to be made up of overachieving journeymen. Admittedly, I didn’t need the tables to figure this out, but the tables do provide insight into predicting true breakout teams. Disclaimer for Pirates’ fans: I am pulling for the Pirates to win the division; it would be great for baseball to see them and their beautiful stadium in the playoffs. I’m tired of seeing the same teams make it every year.